School of EECS/Oregon State Univ. Un-Ku Moon received the B.S. degree from the University of Washington, Seattle, in 1987, the M.Eng. degree from Cornell University, Ithaca, NY, in 1989, and the Ph.D. degree from the University of Illinois at Urbana-Champaign in 1994. He has been with the School of Electrical Engineering and Computer Science, Oregon State University, Corvallis, since 1998. Before joining Oregon State University, he was with Bell Laboratories from 1988 to 1989, and from 1994 to 1998. 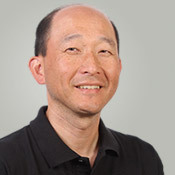 He is an IEEE Fellow and was awarded the National Science Foundation CAREER Award, the OSU Graduate Mentoring Award, and the OSU College of Engineering Engelbrecht Young Faculty Award and Research Award. His current and past professional services include editor-in-chief of the IEEE Journal of Solid-State Circuits, distinguished lecturer of the IEEE Solid-State Circuits Society, editor-in-chief and deputy editor-in-chief of the IEEE Transactions on Circuits and Systems II, associate editor of the IEEE Journal of Solid-State Circuits and the IEEE Transactions on Circuits and Systems II, and Technical Program Committee of the IEEE International Solid-State Circuits Conference, the IEEE VLSI Circuits Symposium, and the IEEE Custom Integrated Circuits Conference. He also served on the IEEE Solid-State Circuits Society (SSCS) Administrative Committee and the IEEE Circuits and Systems Society (CASS) Board of Governors as the SSCS representative to CASS.